Congrats! This is sooo… beautiful! Wow...Congratulations !!!! ❤️ Fab !!! Congrats on your little red fox as Set of the Day !! Wow!! So happy for another set of the day! Congratulations on your so lovely Set Of The Day. 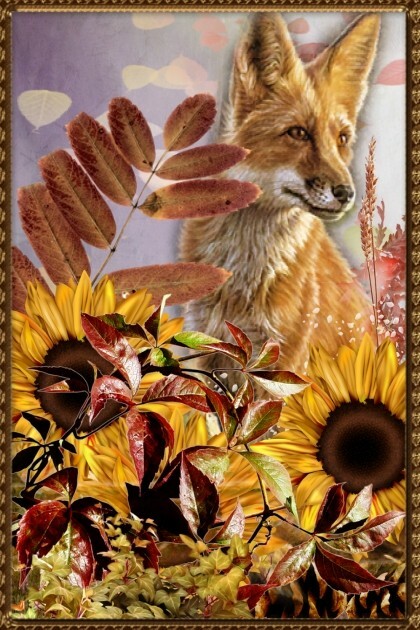 Love your autumn animal sets!!!! Incogneato,	mararivel,	Suburbhater ,	MaryFary,	Fashion Design,	Niwi ,	NatalyApril,	Sherlin	and another 25.